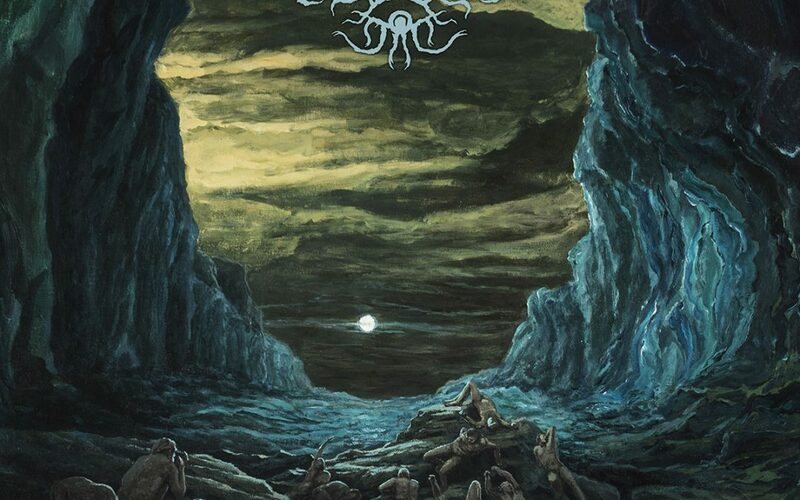 Denmark’s TONGUES debuted in 2014 under the flag of I, Voidhanger Records with “Thelésis Ignis”, a portentous 35-minute long EP which earned them the praises from the underground metal aficionados. Apparently swallowed by the shadows right after that promising release, TONGUES have simply kept a low profile and concentrated for 3 long years on the second chapter of their doomed spiritual journey. A journey that now spawns “Hreilia”, a new and exciting example of TONGUES’ audacious synthesis of black, death and doom metal, propelled by fiery riffs, magnetic melodies and mystical atmospheres. TONGUES’ pessimistic approach to the new album is quite evident even during its most aggressive moments, when the inner fire that characterized the previous EP bursts out nervously from the articulated structures of “Grove Of Mithridate” and “Theophagous Wounds Of Earth”, two examples of the band’s trademark style, hanging in the balance between utmost aggression and psychedelic meditation. As the album progresses, the melodies become slowly – yet steadily – more depressive and defeated, till when TONGUES’ ferocious inner struggle concludes and gives way to sadness and disillusionment.